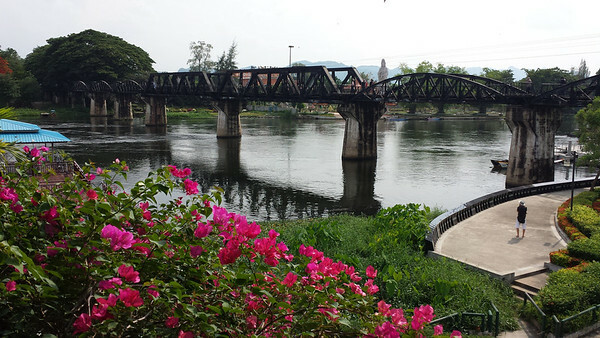 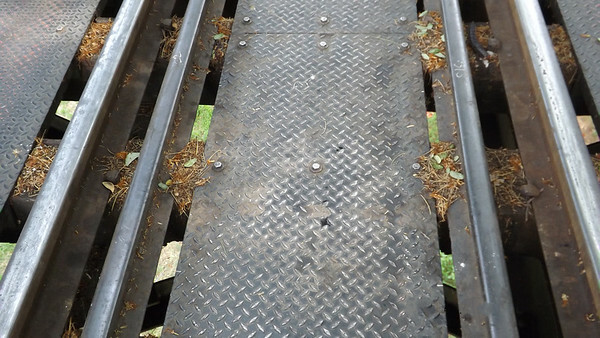 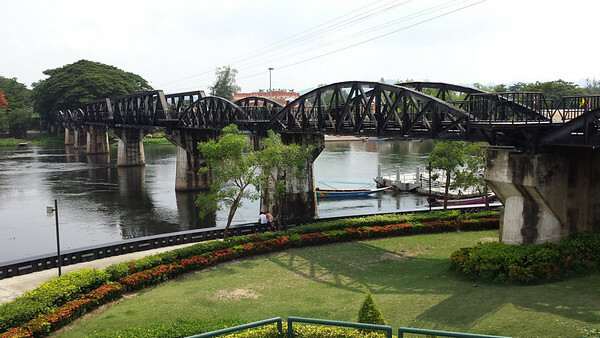 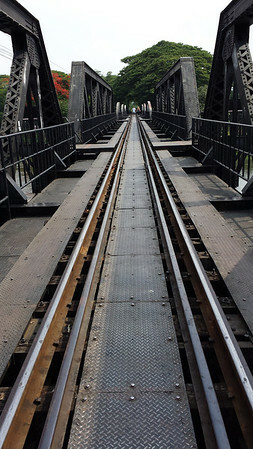 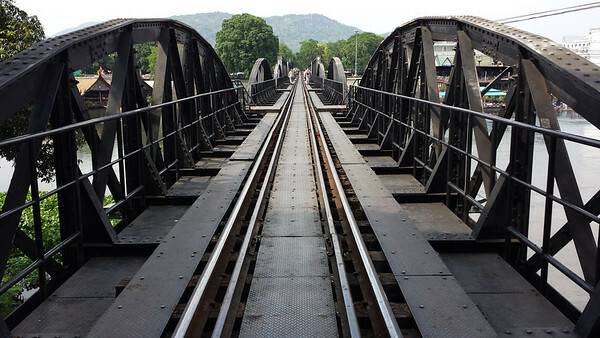 Bridge on the River Kwai 2014. 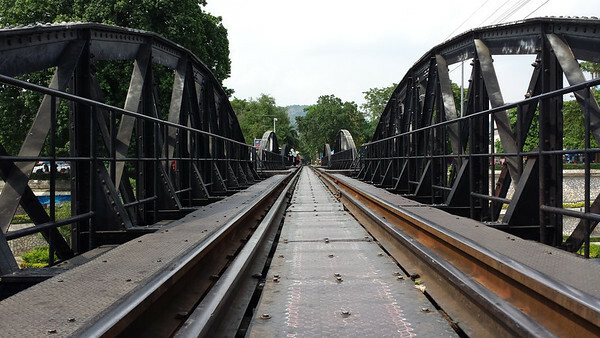 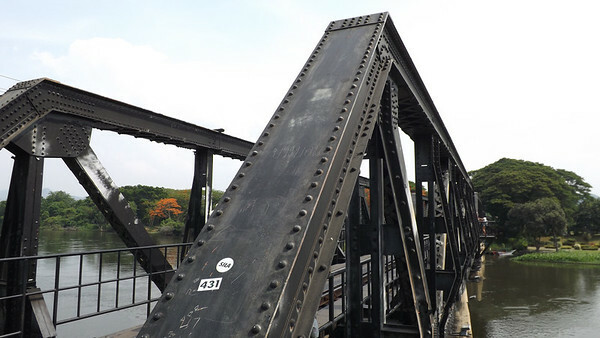 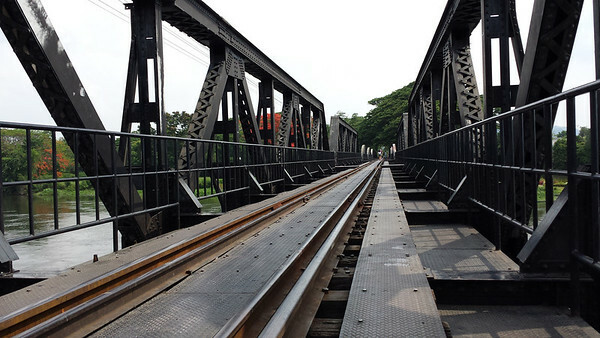 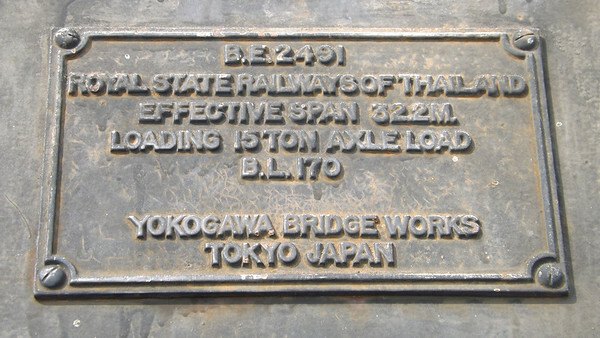 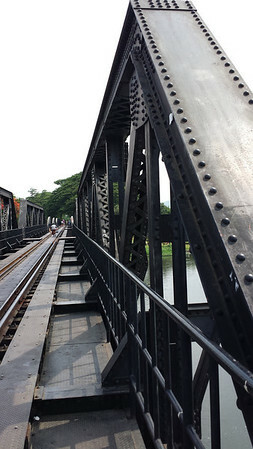 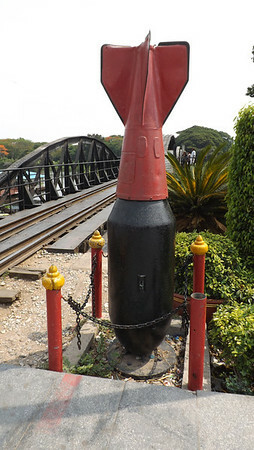 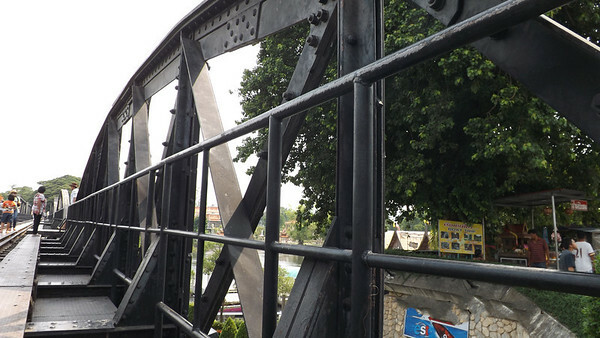 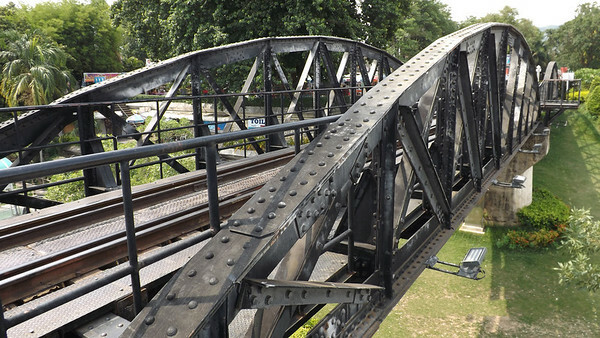 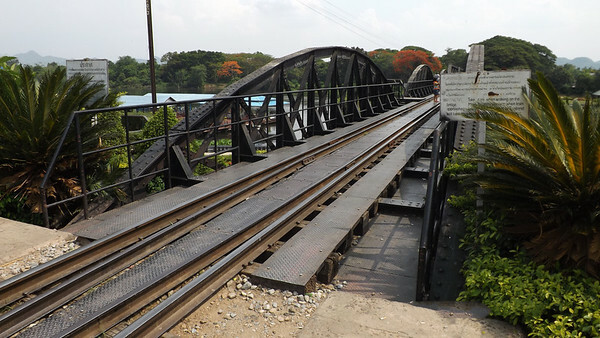 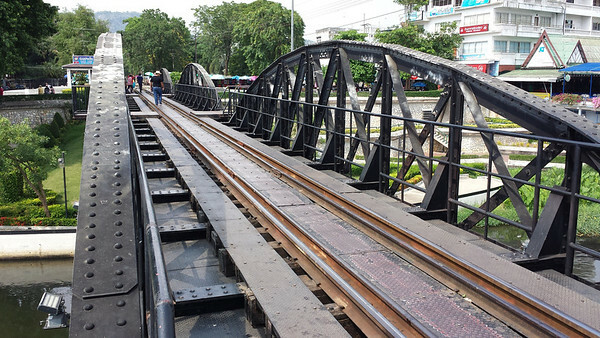 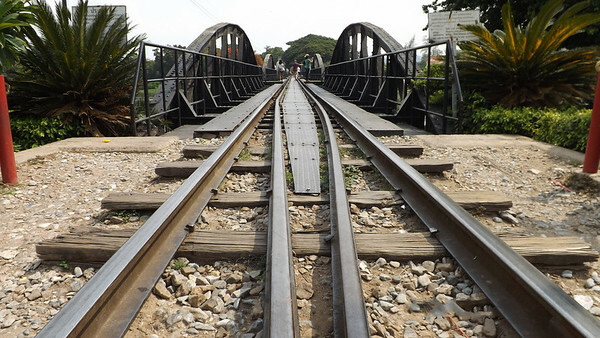 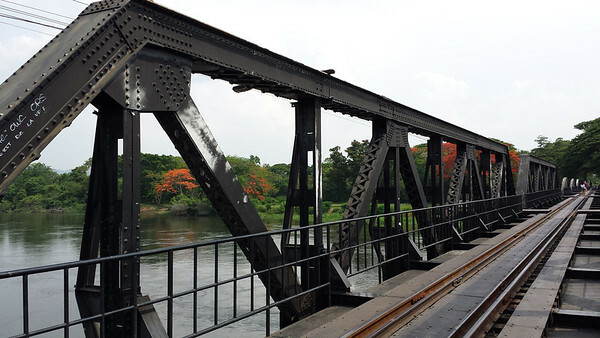 Internationally famous, thanks the several motion pictures and books, the black iron bridge was brought from Java by the Japanese supervision by Allied prisoner-of-war labour as part of the Death Railway linking Thailand with Burma. 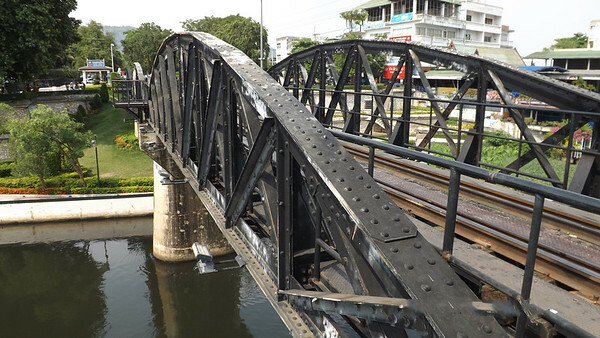 Still in use today, the bridge was the target of frequent Allied bombing raids during World War II and was rebuild after war ended. 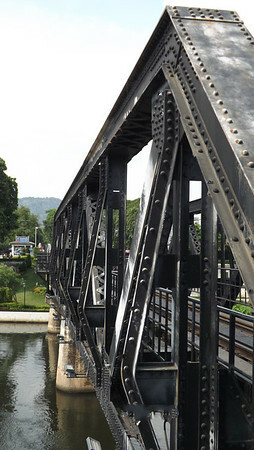 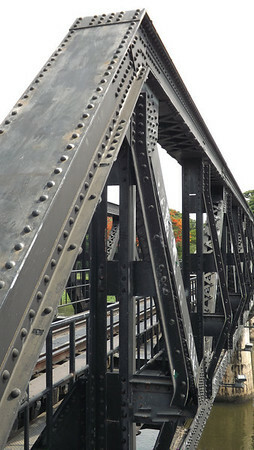 The curved spans of the bridge are the original sections. 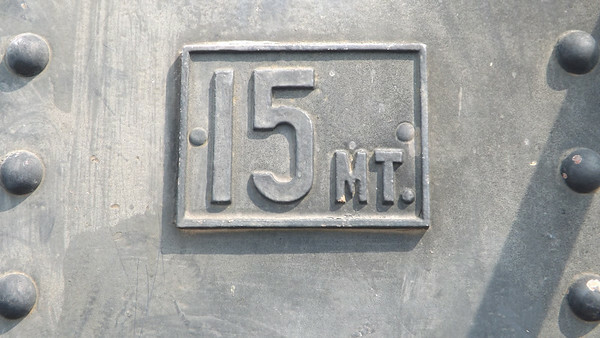 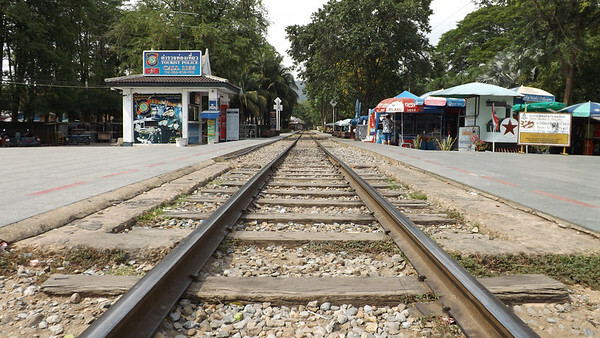 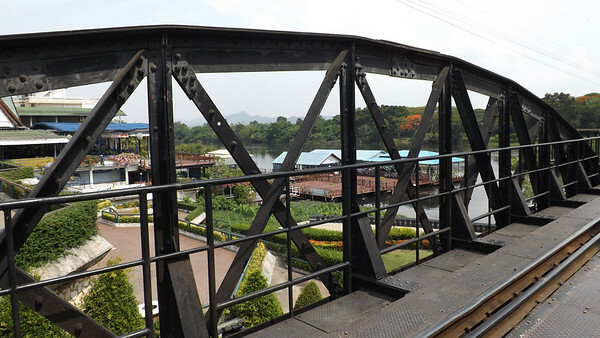 A daily train is still following the historical route from Kanchanaburi to Nam Tok Railway Station.